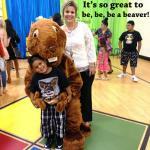 A Grand Heights Early Childhood Center Eager Beaver is all smiles Thursday as he receives his diploma from principal Mitzi McCaleb during a kindergarten graduation ceremony at the school. 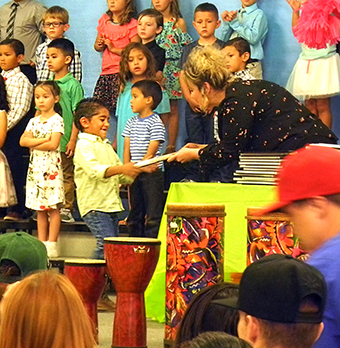 The Duck and Lion classes were the last to take their step toward elementary school in commencement exercises that were split over three days. Additional kindergarten graduation photos will be published in Sunday’s edition of the Daily Press.